Rahu graha is a malevolent planet in Hindu astrology. As per Hindu religion beliefs, this Navgraha can cause hardships in life. Here is the Rahu Graha Shani Mantra and Parihara puja. 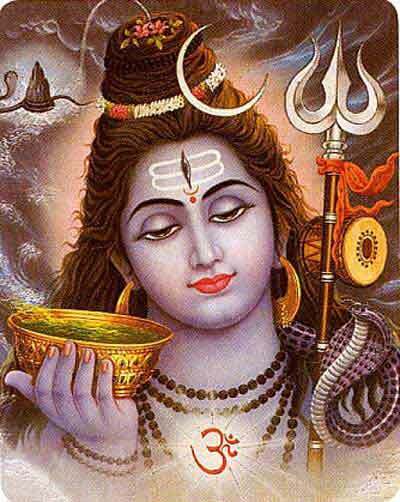 The mantra should be chanted 21 times daily in a Shiva Temple. The most important aspect when you have hardship in life is not to lose courage and strength. Have utmost devotion and start working hard. Do not drop your concentration level drop. Do not allow fear to set in. Do not hop around looking for various pujas and pariharas. The best parihara for any horoscope related problem in Hinduism is worship of Hanuman, Shiva and the particular Navgraha. For Rahu Graha, visit Shiva temple daily and offer a drop of water and bilva leaves. On Tuesday, visit a Hanuman temple offer prayers and chant any prayer you know of Hanuman or the Hanuman Chalisa. Offer a banana fruit. Always keep the house neat and clean. Rahu Graha resides in places where there is junk. Daily morning and evening light a lamp using cow ghee and offer your prayers. Plant a tulsi plant in the house and take care of it. Plant a neem tree and take care of it.